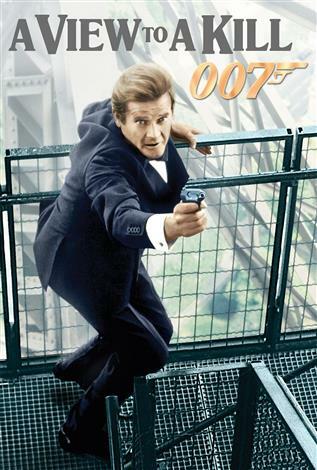 After recovering a microchip from the body of a deceased colleague in Russia, British secret agent James Bond (Roger Moore) discovers that the technology has the potential for sinister applications. Investigating further, Bond is led to Max Zorin (Christopher Walken), the head of Zorin Industries. Soon Agent 007 faces off against the villainous Zorin and his tough Amazonian bodyguard, May Day (Grace Jones), who are scheming to cause massive destruction that will eliminate the competition.